Re: “Better to help improve than shun a company trying to recover after CSR challenges,” (The Hill Times, Nov. 28, p. 16). In an op-ed, Export Development Canada’s CEO Benoit Daignault broaches a subject that’s eliciting mounting public concern: how EDC handles human rights, environmental, and corruption risks. With EDC’s governing legislation under review, the subject merits careful examination. Mr. Daignault explains that the EDC engages with companies that have had “issues” related to social responsibility, employing dialogue to improve outcomes. The nature of those issues is critical. In recent years, EDC has supported firms blacklisted by other investors on ethical grounds, under investigation or prosecution for corruption, and sanctioned by courts and other public authorities for human rights violations and environmental offences. Since 2015, EDC has issued five loans to a firm that’s seen almost 200 of its workers and contractors killed in fires, explosions, and collapses in the past decade. 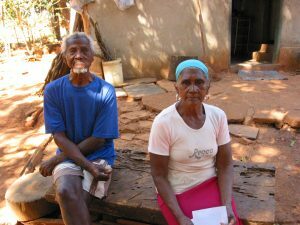 Beginning in 2014, it provided five loans to a company whose actions led to the “elimination of an ethnic community,” according to the Brazilian state agency called INCRA. With harms of such a serious nature, it’s not just expectations that are at stake. The Canadian government’s compliance with international human rights law is also in play. For this reason, a recent Senate report called for the inclusion of human rights requirements in EDC’s governing statute. Mr. Daignault argues that EDC can influence an erring company to improve by “leveraging its financial relationship.” The rationale is unclear. By signing a deal with a firm that’s causing ongoing harms, doesn’t EDC signal from the outset that poor performance is not a barrier to receiving support? It’s up to the government to ensure that Crown corporations protect and respect human rights. It should bar EDC from supporting firms involved in abuses, subject the agency to judicial oversight, and expand the auditor general’s mandate on EDC. As the review of the Export Development Act proceeds, it’s critical that a parliamentary committee study these and other reforms recommended by Above Ground and 16 other civil society groups in our submission to the government.